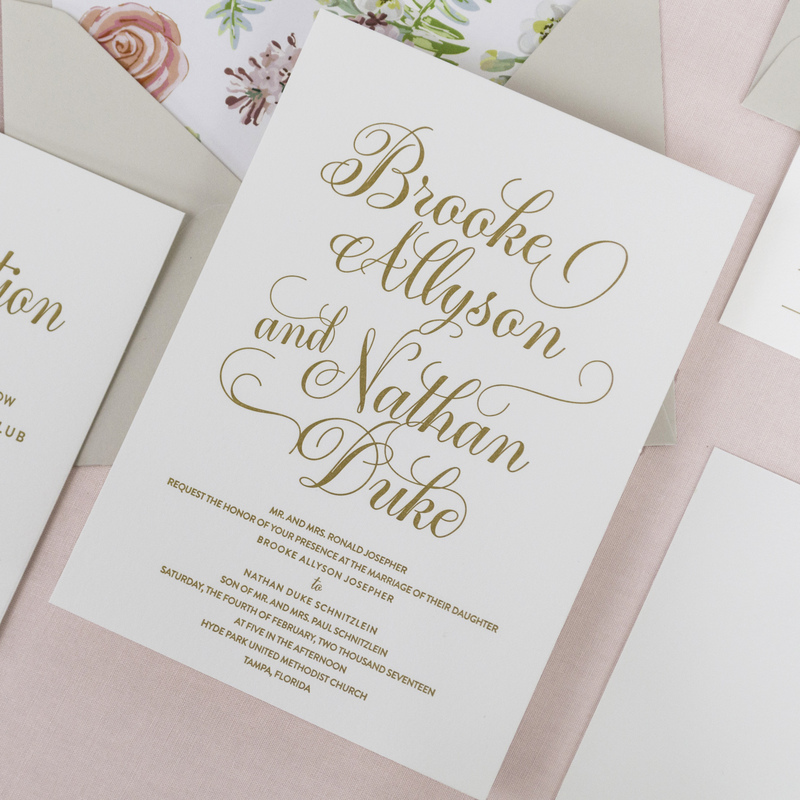 This suite showcases a traditional design with modern twist. 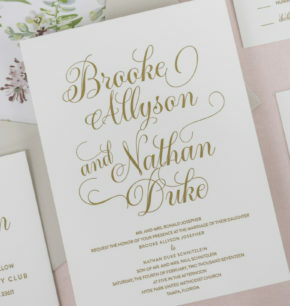 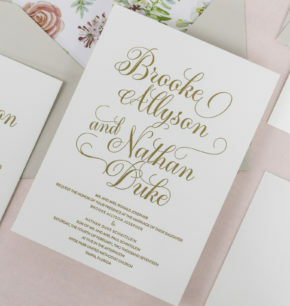 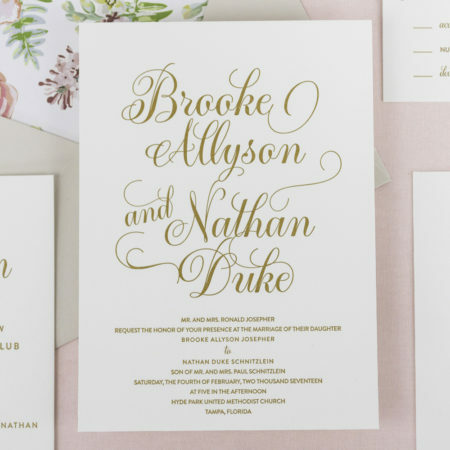 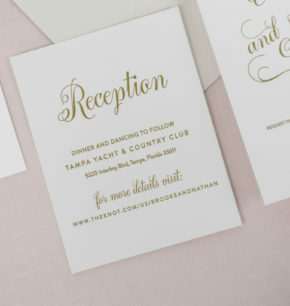 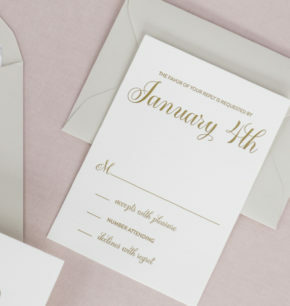 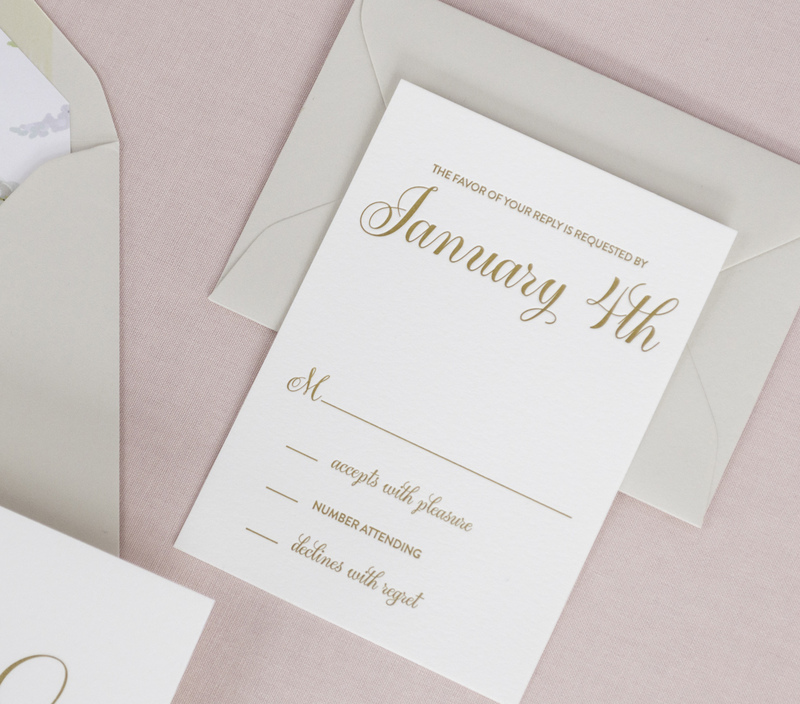 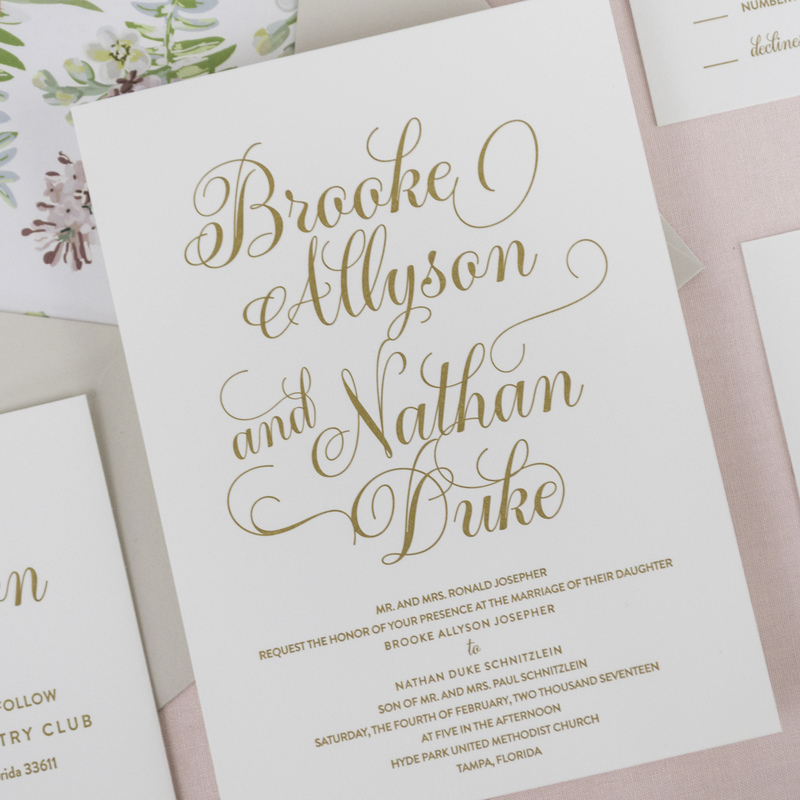 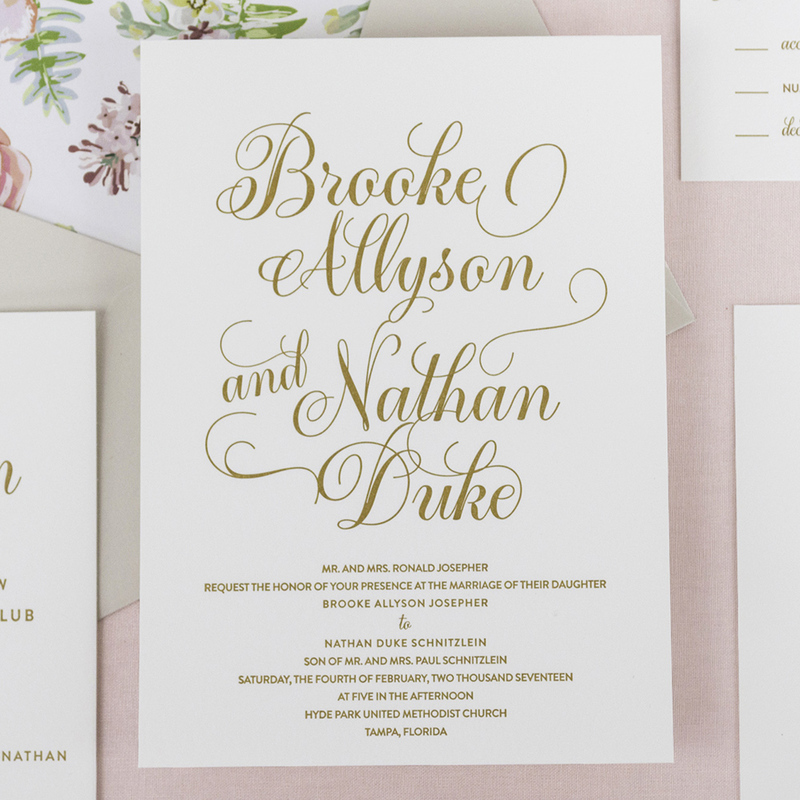 It features a bold, chic hand-written script while retaining a classy and simple feel. 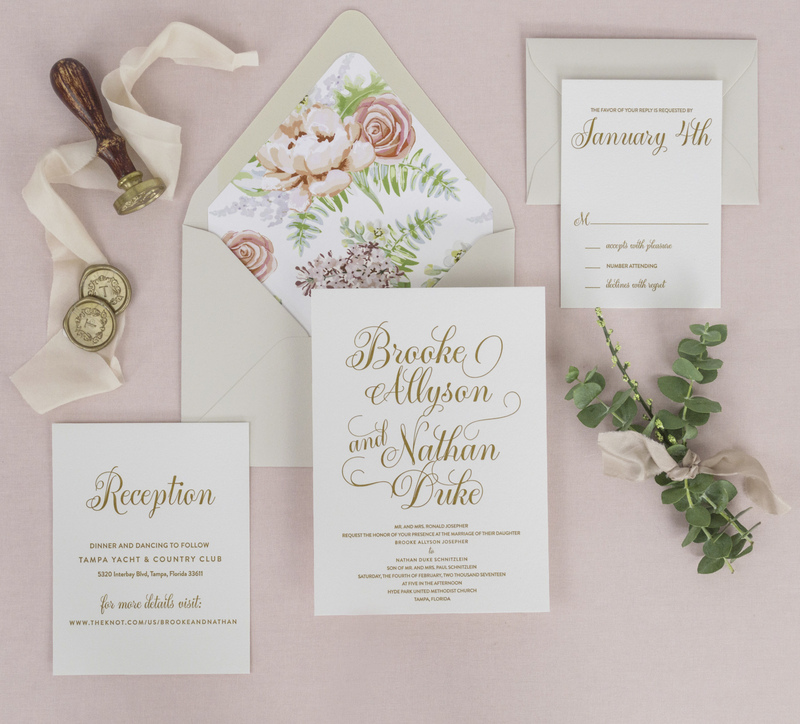 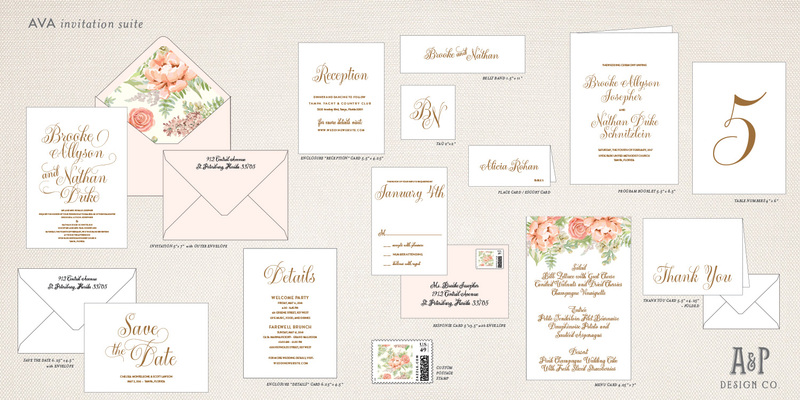 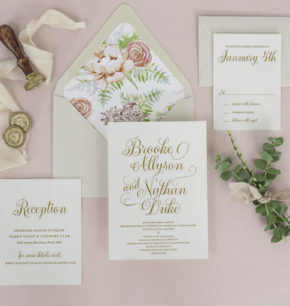 This invitation suite is incredibly versatile and can be personalized to fit any wedding style by simply adding patterned liners, a custom crest, or a classy floral design.